On January 5, 2018, Amsterdam District Court issued a judgment (the "Judgment") in which it upheld an earlier ex parte attachment granted by the same court on September 8, 2017 to Anatolie Stati, Gabriel Stati, Ascom Group S.A. and Terra Raf Trans Traiding Ltd (together, the "Stati Parties") with respect to the Republic of Kazakhstan’s shareholding in the Dutch entity KMG Kashagan B.V. ("Kashagan") which shareholding is held via the Kazakh sovereign wealth fund Samruk-Kazyna ("Samruk"). Through its stake in Kashagan, which has a nominal value of approximately US$5.2 billion, the Kazakh State participates in the international consortium relating to the Kashagan oilfield, one of the largest offshore oilfields in the Caspian Sea. 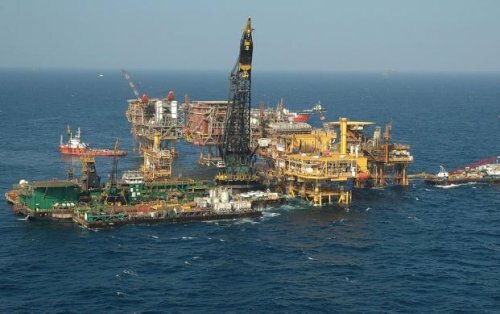 Other members of the consortium include Eni, Royal Dutch Shell, Total, ExxonMobil, China National Petroleum Corporation and Inpex. In the Judgment, the Dutch court held that, despite Samruk being a separate legal entity from Kazakhstan, "the corporate objective of Samruk is … completely subordinated to Kazakhstan’s national interest, as this is established at the political level, that Kazakhstan is and will remain the sole shareholder, and that Samruk’s board is controlled by (those politically responsible in) Kazakhstan." The court then went on to conclude that "Samruk lacks de facto-economic independence in its relation to Kazakhstan, in the sense that Samruk cannot invoke its separate legal personality against Kazakhstan in order to pursue a policy of its own that deviates from the policy of (those politically responsible in) Kazakhstan… it has to be assumed that Samruk has been established by Kazakhstan (at least partially) with a view to shield Kazakhstan’s assets from Kazakhstan’s creditors." The said attachment was secured as part of the Stati Parties’ long-lasting battle to enforce an arbitral award that was issued in December 2013 (the "Award") for violations of the investor protection provisions of the Energy Charter Treaty. A tribunal constituted under the auspices of the Stockholm Chamber of Commerce found that Kazakhstan violated its international obligation to treat the Stati Parties’ investments fairly and equitably and awarded the Stati Parties more than US$500 million by way of damages and legal costs. The Award has since been fully upheld by two tiers of the Swedish judiciary, including the Swedish Supreme Court. However the Government of Kazakhstan is refusing to honor its obligations under the Award, in manifest and continuing breach of its international treaty obligations and notwithstanding its efforts to portray itself as an investor friendly jurisdiction. The judgment of Amsterdam District court was issued in the wake of a number of other court rulings in several jurisdictions where the Stati Parties are currently enforcing the Award. In particular, the Stati Parties have secured attachments from the Dutch and Belgian courts, as a result of which Bank of New York Mellon, acting as Kazakhstan’s global custodian, has frozen assets worth approximately US$22.6 billion, including cash, government/corporate bonds and equity shareholdings comprising about 40% of National Fund of Kazakhstan managed by the National Bank of Kazakhstan. On December 21, 2017, the High Court of Justice in London dismissed Kazakhstan’s urgent claims to compel Bank of New York Mellon to unblock the said National Fund assets and prevent their transfer to the Stati Parties. In addition, the Stati Parties have secured attachments of Kazakhstan’s property in Luxembourg and Sweden, including Kazakhstan’s shareholding in the Luxembourg entity Eurasian Resources Group, certain trade receivables due to Kazakhstan from a number of Luxembourg companies, as well as shares in 33 Swedish public companies worth approximately US$100 million. As a result of the latter attachment, the Swedish state bailiff has already commenced a foreclosure process with respect to some of the attached shares by procuring transfer of their sale proceeds to its escrow account. The proceeds are expected to be transferred to the Stati Parties following the conclusion of all pending legal proceedings in Sweden. The claims originally arose out of Kazakhstan’s seizure of the Stati Parties’ petroleum operations in 2010. The Stati Parties acquired two companies in 1999 that held idle licenses in the Borankol and Tolkyn fields in Kazakhstan. They invested in excess of a billion dollars over the ensuing decade to turn the companies into successful exploration and production businesses. In late 2008, after the businesses had become profitable, had yielded considerable revenues for the Kazakh state, and the Stati Parties expected to start receiving dividends, more than half a dozen government agencies carried out a number of burdensome inspections and audits of the companies’ businesses that resulted in false accusations of illegal conduct directed at the Stati Parties and their Kazakh companies, including criminal prosecutions of their general managers on false pretenses. Kazakhstan’s actions challenged the Stati Parties’ title to their investments, subjected them to hundreds of millions of dollars in unwarranted tax assessments and criminal penalties and ultimately led to the seizure and nationalization of their investments by Kazakh authorities in 2010.